28S-WAW-SET9 this is a “28Standard” 4Ground group of models with high detail and pre-painted parts. 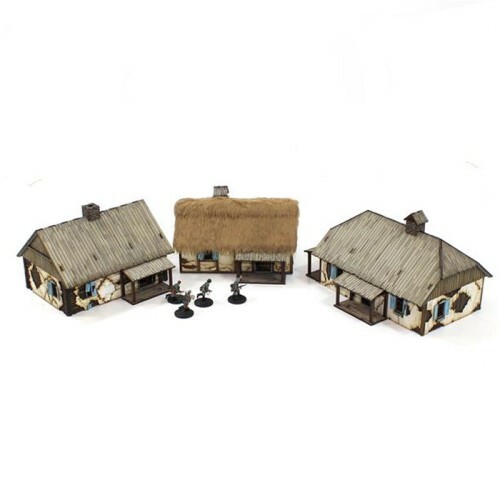 This set includes all three of our Eastern European buildings and is an item available for this month only as we will be releasing more and more buildings in the same grouping and as such there will be a Polish, Russian and Ukrainian set available. This set gives you £15 off of the SRP for pre-orders of the three Eastern European buildings perfect for any one fighting in the Eastern Front of WW 2, the Napoleonic Wars, the Winter War or the Russian Revolution.